A home workshop in Reading is today playing a vital role in the reconstruction of EDSAC, the Cambridge University machine that 65 years ago led the world’s computing revolution and today is being reconstructed and assembled at The National Museum of Computing on Bletchley Park where the process can be watched by Museum visitors. Image courtesy of Edsac Project. 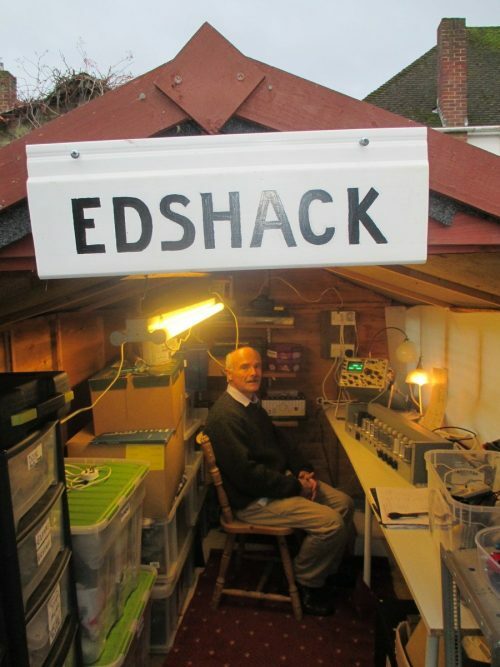 The Reading workshop, affectionately named Edshack, belongs to James Barr, who not only has the rare skills required to help in the reconstruction of EDSAC, but also has a computing pedigree that can be traced directly to the machine that first ran before he was even born. EDSAC was built in Cambridge in the years following the Second World War and was the first high-speed electronic computer ever to go into service at a University. Because of its remarkable speed, it enabled new approaches to scientific research, which were previously impossible, and was used in at least two Nobel-Prize winning research breakthroughs. In Barr’s workshop, key components of EDSAC’s central control system are being reconstructed. He is one of the very few people in the country who could attempt such a task. It requires a knowledge of thermionic valves that were used for war-time RADAR and preceded the invention of transistors and silicon chips. They were the only devices at that time fast enough for a high-speed computing technology. He also has had to research and re-discover the ways that 1940’s valve circuits were made to perform digital functions. James Barr’s pedigree in computing owes a remarkable debt to the 1949 EDSAC computer. He recalls: “I left Newton Abbott Grammar School, Devon, in 1972, and went up to Downing College, Cambridge University. Computer Science was a fledgling science at the time and only after first studying ‘proper’ science for two years was it permitted to take computer science as a subject in its own right. After Cambridge, Barr went on to work in the computer industry as a programmer and then project manager and analyst. He has witnessed first-hand the remarkable growth of one of the world’s fastest-growing industries from the 1970s until his retirement at the end of 2012. It was then that he was amazed to hear of the reconstruction of EDSAC and felt he might have something to contribute. 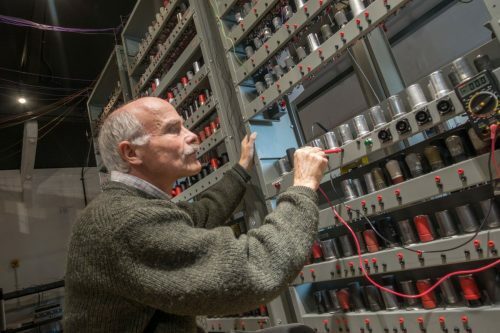 Today, the ongoing reconstruction of EDSAC is a favourite amongst Museum visitors and provides an outstanding artefact to teach aspiring engineers and computer scientists on the Museum’s Learning programme about the development of computing, a phenomenon of our age. To find out more about the EDSAC Project, see www.edsac.org and short videos telling the story of the reconstruction at http://www.tnmoc.org/special-projects/edsac/project-videos.